Book — Joel Salinas, M.D. 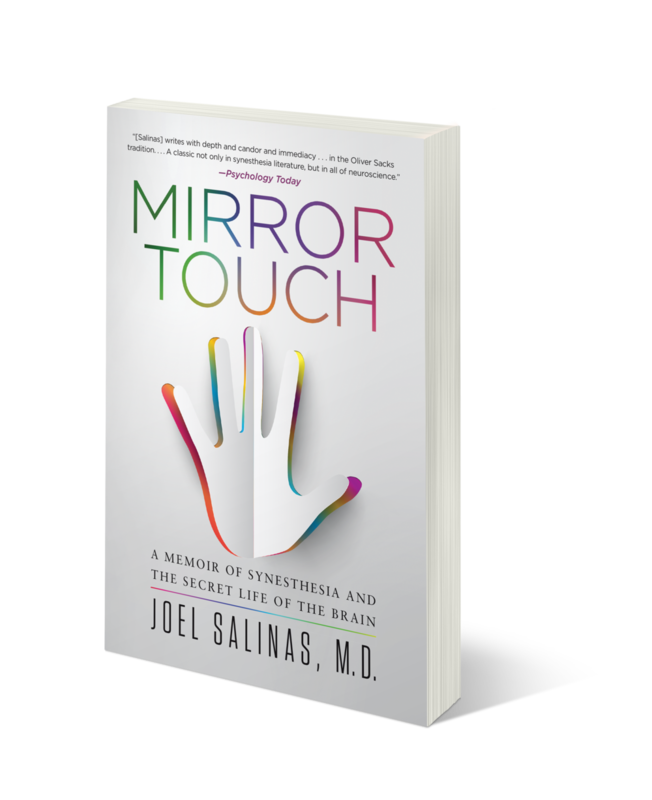 Dr. Joel Salinas is a Harvard brain doctor with extraordinary gifts that provide him unique access to his patients and enable him to experience life in a remarkable way. He has mirror-touch synesthesia, a neurological trait that allows him to feel others’ emotions and physical sensations. Susceptible to the pain and discomfort of his patients—Salinas uses his heightened empathic ability—what he calls “compulsory mindfulness”—to help understand and better treat their conditions. Using his own experiences as a brain doctor and synesthete, Salinas also shares the remarkable stories of equally remarkable people who similarly live in a heightened state of awareness, whether because of ecstatic seizures from epilepsy, a congenital condition like autism, or after a seemingly debilitating stroke. Written with intelligence and compassion, and anchored by the latest of what we know and what we have yet to decipher in neurology, psychology, psychiatry, and the neurosciences, Mirror Touch is an enthralling investigation into the power of the brain—one that proves that the mind, in wondrous and mysterious fashion, continues to promise exciting and inexhaustible ways to think, to see, and to be.